If you thought putting together your wedding budget was hard, sticking to it is going to be even harder. That’s why doing a vision and priority exercise with your fiance before you start meeting with vendors and buying decorations is important. 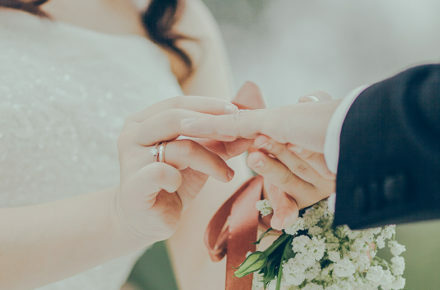 But once you’ve settled on your vision and begin to put together your budget, if you splurge in one area of your wedding planning, you’ll need to save in other places to make up for it—or you’ll go over budget (and 74 percent of couples do go over budget). Where should you splurge and get the best of the best, and where can you save some money? What’s Important to You and Your Fiance? Since you’ve already completed the vision and priority exercise, this should be an easy answer. When you think about your wedding, what are the details that stand out in your mind? Do you want to have amazing flowers, an awesome get-away car, or a memorable cake? Is there a photographer or videographer you’ve been stalking and must have? Now that you’ve decided what’s important and where you want to spend your money, it’s time to take a look at the other end of the spectrum. What things aren’t as important to you? Where are you and your fiance willing to cut costs? 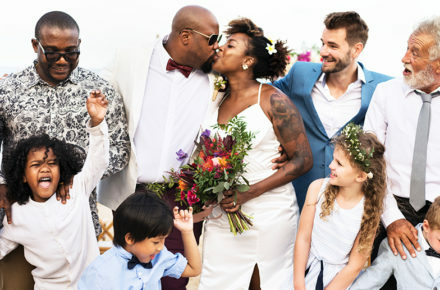 These can be specific areas of your wedding, for example mixing up your centerpieces with florals and decorations, having a smaller wedding cake or not doing favors for your guests. 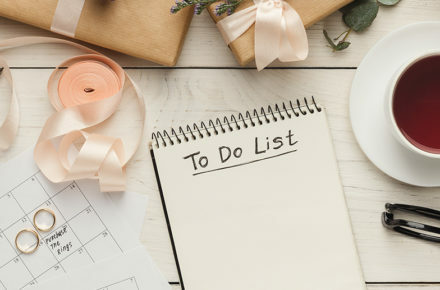 If you wedding vision doesn’t include a specific date or season, picking a date in the off-season or a weekday may have money-saving benefits. When looking for places to cut costs, the guest list is often the first place to look. Providing your guests with a comfortable venue and something to eat is non-negotiable, that’s one of the main reasons why your venue and catering will be about half of your budget. These are not two items you should skimp on. However, you can always cut your guest list, rent a smaller venue and adjust your catering selections to reduce your budget.